It’s time to celebrate the Year of the Pig! With unique live entertainment, décor, food, merchandise and more across three Disney resorts around the world, there are so many ways to experience Chinese New Year traditions with a touch of Disney magic. 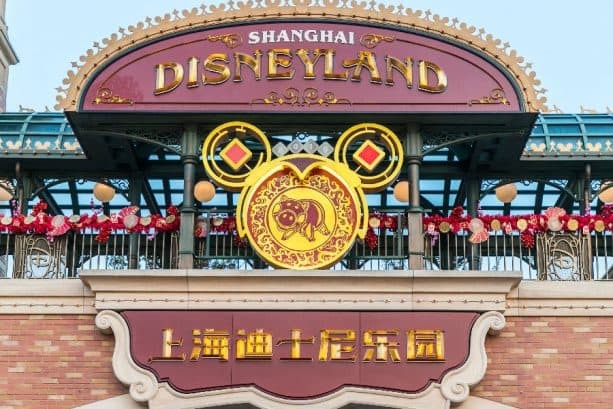 Shanghai Disney Resort will usher in an auspicious Year of the Pig from January 19 to February 19, inviting guests to rediscover the joy of the much-loved traditional Chinese New Year holiday. Vibrant Mickey lanterns, Chinese couplets, floral garlands, paper decorations and more will bring a festive atmosphere to the resort, while the Garden of the Twelve Friends is transformed into the Wishing Garden. 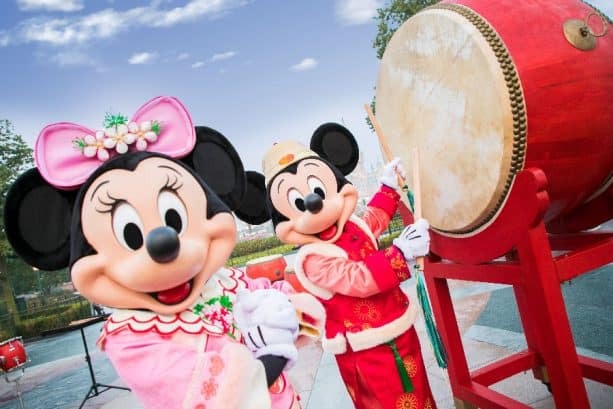 Guests can witness a customary drum ceremony near the Storytellers Statue each morning, watch Mickey and his pals in a special performance of Shanghai Swing, and enjoy a special Chinese New Year carnival at the Wishing Star Market. 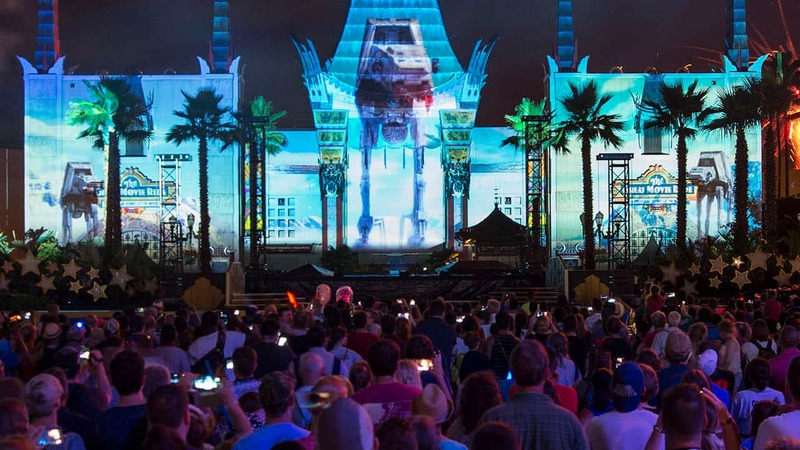 On January 25-26, February 4-10 and the Lantern Festival on February 19, the nightly showing of Ignite the Dream: A Nighttime Spectacular of Magic and Light will be topped off with an inspiring post-show moment to commemorate the holiday. Limited-edition merchandise and special dining options will be available across the resort. 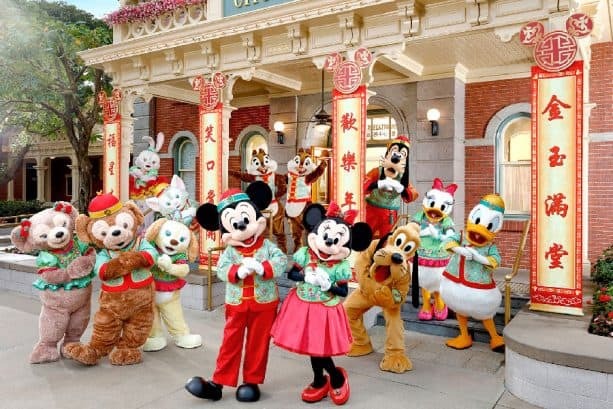 Hong Kong Disneyland is the first Disney resort to kick off this year’s Chinese New Year festivities, today through February 24. Guests can snap photos with Mickey and friends in their brand new Chinese New Year outfits on Main Street, U.S.A., as well as Duffy’s friend Cookie who joins the celebration for the first time! 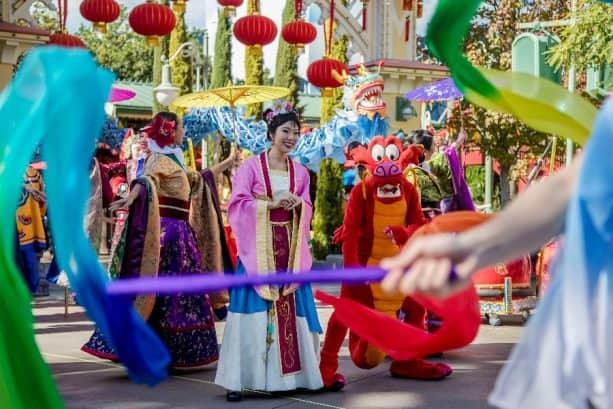 Guests can also participate in a God of Fortune Goofy Celebration Moment at the Castle Hub Stage and watch performers dressed in traditional Chinese outfits around the park. 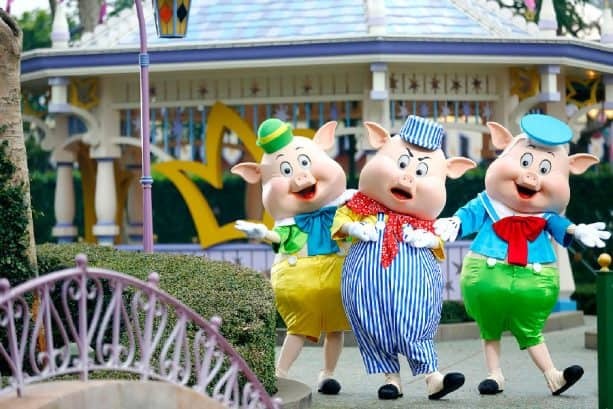 The Three Little Pigs – Fiddler, Fifer and Practical – will also make an appearance in Fantasyland! More than 50 new themed merchandise items are on sale and 60 themed food and beverage offerings are available throughout the resort, from full-blown set menus to delicious snacks like Wishing Fish at Main Street Bakery. From February 5 to 9, newly designed Lai See packets will also be distributed to visitors at the park entrance while stock lasts, including a delicious chocolate gold coin and a merchandise, food and beverage coupon. At Disney California Adventure park at the Disneyland Resort, Lunar New Year is an opportunity for guests of all ages to experience Asian culture through inspired food, music and entertainment with family and friends from January 25 through February 17. Among the limited-time offerings are an enhanced “Mulan’s Lunar New Year Procession” featuring the Three Little Pigs and four delicious Asian marketplaces paying homage to Chinese, Korean and Vietnamese cuisine. For an extra bit of luck, guests can add their own wishes to a Lucky Wishing Wall in the park. There’s nothing quite like Chinese New Year at Disney Parks! Visit one of our resorts to enjoy good fortune and festivities. I would love Lunar New Year Celebrations come to Walt Disney World. I love the photo of “God of Fortune” Goofy that leads off this post! I’m always happy to see/experience events that highlight Goofy. Will the three little pigs be doing a meet and greet at DCA?